This item is sold as a package of 2 pads. Description: Punch Studio Note Pads are decorated with bright colors and beautiful accents, a great way to leave a note at home or the office. Pocket Joy To The Farm- 3 in. x 4 in. notepad with a magnetic flap closure and 75 pages. 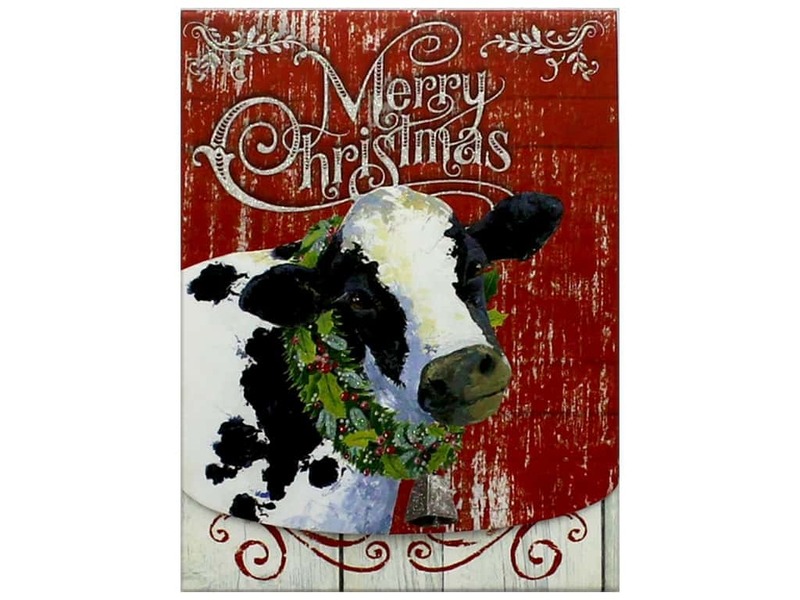 Cover image has a cow with a holly wreath around it's neck and caption Merry Christmas. There are epoxy glitter accents.